Sycamore Prairie Business Park | Smart location. Smart decision. Sycamore Prairie Business Park is a 235 acre commercial site dedicated to a diversified corporate use. Protective covenants are in place to ensure that the appearance of the park is always well maintained, the land values always preserved, and the investment of current and future occupants stringently protected. The park is fully serviced with water, sewer, natural gas, electric and high volume data communication services. Situated in Sycamore, Illinois, near the I-88 Research and Development Corridor and the I-39 Logistics Corridor, Sycamore Prairie Business Park is in close proximity to the Chicagoland Metropolitan Area. I-88 is within five minutes, I-39 within 15 minutes, and I-90 less than 30 minutes away. Located close to transport facilities employing all modalities including highways, railroads and airports. 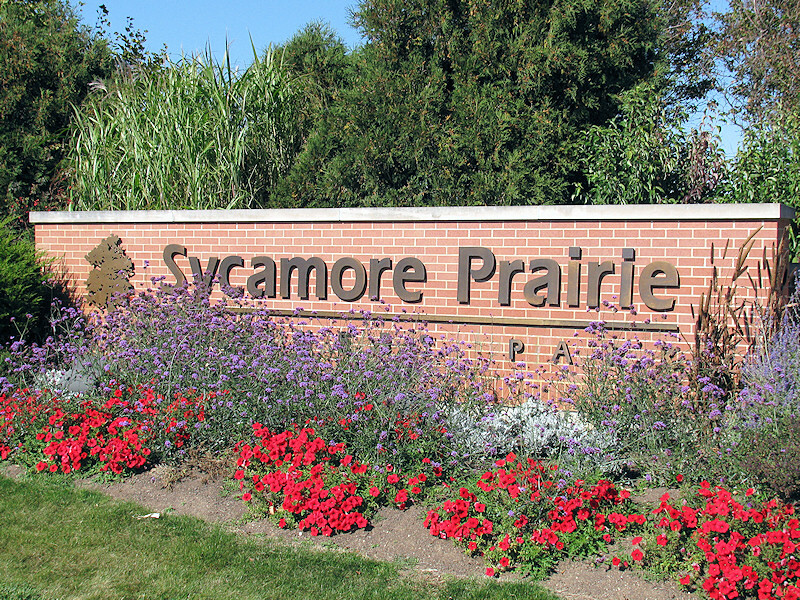 Sycamore Prairie Business Park blends in smoothly with the surrounding suburban environment, providing our occupants with an unparalleled access to community amenities. It enjoys congestion-less traffic in a campus-like setting while providing an integrated infrastructure all in one location. The site is zoned, approved and build-ready with fully improved lots for multiple corporate use. Sycamore Prairie Business Park is a master-planned development designed to accommodate manufacturing, assembly and logistics occupants as well as research and development facilities; professional, medical, and corporate offices; and distribution and data centers. Sycamore Prairie Business Park is adjacent to the growing DeKalb-Sycamore Health Care Corridor and is home to the nation’s oldest and largest county farm bureau. The area is known for its rich soil and agri-research history. The nearby resources of Northern Illinois University and Kishwaukee College provide access to an educated work-force and outstanding technical assistance for enhanced operations. If the location fits there’s not a better corporate community in northern Illinois. Big News for 2016: Sycamore Prairie Business Park is now in an Illinois Enterprise Zone! Click here to read what that means for our tenants!